How to pickle any veggie! In just 24 hours!! 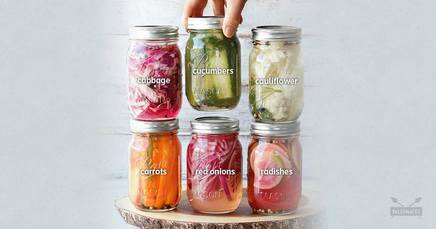 The good news is that you can pickle just about any vegetable, as long as they are in their peak freshness! Look for veggies that are crisp without bruises or wrinkles. Rinse them thoroughly and use a vegetable brush to scrub away any remaining dirt or sediment. Now you’re ready to quick pickle!